These placemats from Bed, Bath & Beyond caught my eye because of the playful lemons adjacent to the traditional & decidedly staid damask. 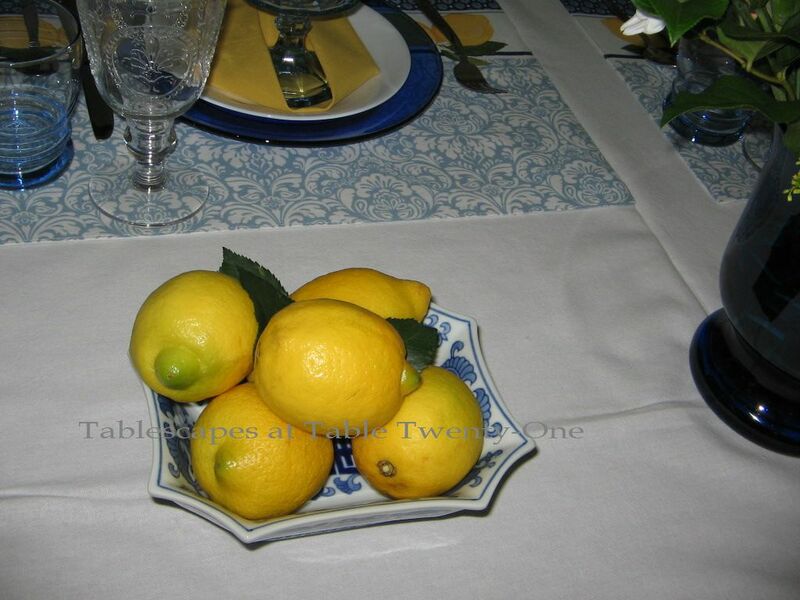 The lemon yellow cotton napkins are also from BB&B. 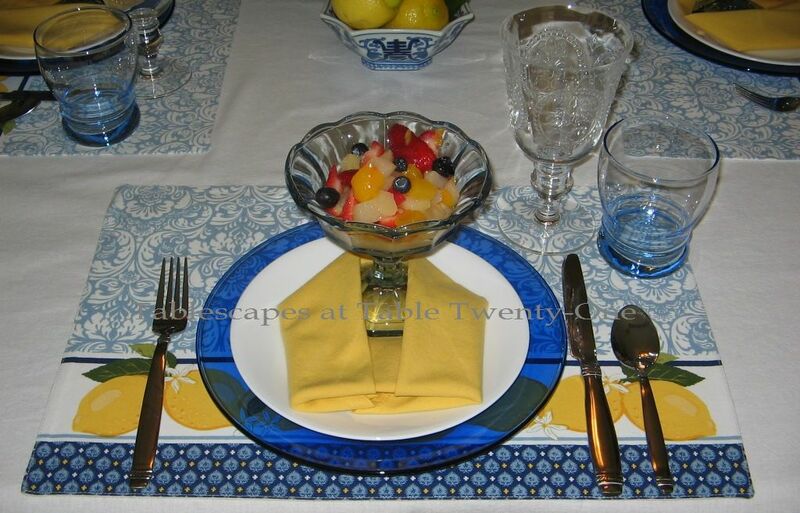 The cornflower blue juice glasses and compotes are from Old Time Pottery, and the cobalt blue chargers from Pier 1. The plates are basic white Corelle. I embellished the lush mix of lilies, roses, Fuji mums, orchids, hyacinth, button mums, monkshood and carnations with a few butterflies. Coffee cups in the colors of the day are from Old Time Pottery. 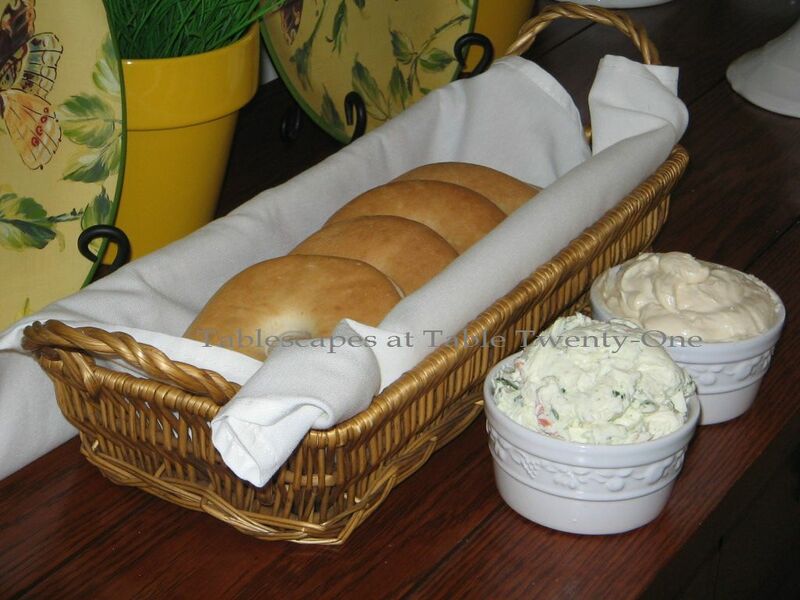 Pre-sliced bagels are presented in a long napkin-lined basket. Find the recipes for the homemade vegetable or honey cream cheese spreads HERE or by clicking the “Recipes” tab above. Nothing like a little fruit juice to get the day started! Here, clear glass decanters hold a choice of pink grapefruit, orange or apple. I just love to take something basic and make it special! Plain white ceramic pitchers from Home Goods are gussied up with the addition of custom silver tags that mark the frothy, cold chocolate and strawberry milk. 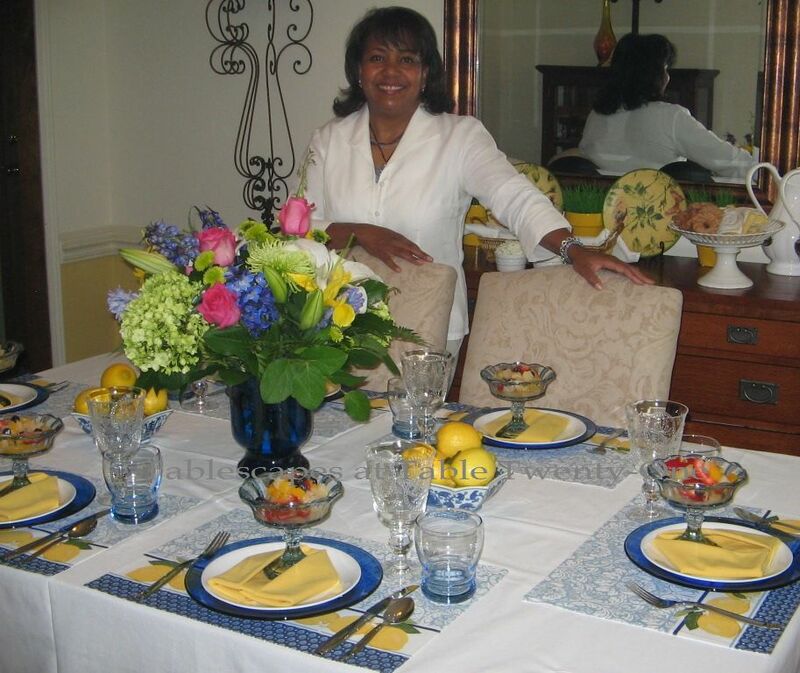 The hostess awaits her guests’ arrival! 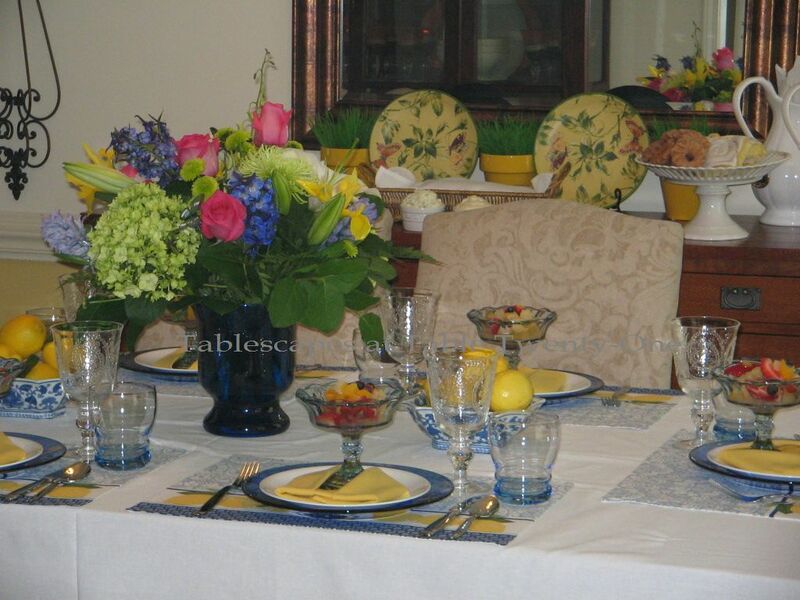 A few fun accessories that will help make your Spring table feel fresh, inviting, and alive! White or pastel spray paint for lightning and brightening everything from branches & twigs to….you name it!